I am a complete and utter sucker for books filled with rage. I hate that female characters are usually not allowed to be angry, and if they are angry, they are villainized. I was looking specifically for ragey recommendations on Twitter months and months ago, and this one immediately floated to the top. Boy, do those first 15 pages pack a punch! Sadly, I was filled with silly preconceived notions and wrong expectations, and the middle section turned me off. Until it didn't. Until I rushed in, head down, and really made some progress, at which point I was completely hooked. Nora Eldridge is a lonely school teacher who dabbles in art. She's smitten with one particularly smart and vulnerable student and eventually falls in love with his family, developing a best-friendly relationship with the child's mother and an intellectual one with his father. They are all legitimately very close, but do the feels mean more to Nora than they do to the individuals with which she's smitten? Nothing can ever stay the same, but Nora gets stuck in a seemingly endless obsession with this family and with missing those connections. Until the thing happens that changes everything. I've included a very quick video review down below that comes down to this: I wish I'd gotten out of my own damn way with this book. I wish I'd shoved aside my stupid preconceptions and just read it. Though, at the end of the day, it was part of a perfect storm of books that pushed me to pursue happiness come hell or high water. That's pretty snazzy for a book. Your review really makes me want to read this book, Andi. I love that it was one of the books that make you decide to pursue happiness. Will you tell us about the other books too? Of course! Maybe I'll pull together a post on that, but I'll give you a sneak peek: You Are a Badass, We Should All Be Feminists, Dietland. Love! You're not the last person to read this book - I'm not even familiar with it. I love books full of emotion - whether they be rage, hate, love, etc. This sounds really good to me. Your video review is fantastic - you seem so comfortable in front of the camera. The ragey-ness has scared me, because I feel like I can so easily go that way these days, but it sounded like it was good and cathartic and I should try? I haven't touched a book in, like, 9 days or something so maybe I need some rage...?? Oh, I have this some where. Where? On my Nook? I need to go find it. I just might need the same push it gave you! How interesting. I've been seeing this everywhere and have been hearing mixed reviews, but yours is just intriguing me so much. I'm glad you read this! It was one of my favorites a few years ago. Loved the writing, the emotion... the whole thing. 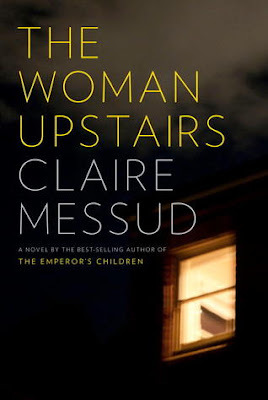 Have been meaning to read more by Claire Messud ever since. Ah, it was so fun to hear your voice! Book sounds intriguing. I'm a fan of rageful women, gotta admit. Sometimes life is absolute rage-inducing. You sold it! Going on my wishlist now, thanks! I keep hearing awesome things about this book - especially in the women pursuing life goals department - adding it to my ever growing backlist TBR! I loved her rage! I listened to this book and the random F@#K would be awesome. It just simmered so close to the surface. I agree it dragged in the middle, but the ending was worth the wait. Poor Nora - she put so much more into the relationships with the family than they did for her. I did not know you had a southern accent - that was cool in the video. Welcome to the club of women who LOVED this book! The first 15 pages are still some of my favorite in fiction, but I get what you mean about the middle. I didn't pause, but I did disengage somewhat and then BAM the ending. I don't know if you ever read Messud's interview (can't remember with who) but she shuts done a foolish question about women characters needing to be likable. It's classic. Wow! You have definitely sold me on this book. I'm adding it to my list as we speak. I bought this from my library book sale for $2 and so excited to hear your thoughts. Can't wait to start this one. I feel as though I've seen a number of books lately in which a woman obsesses over a relationship. While they all intrigue me, they all also seem so dark and dark is something I'm rarely in the mood for! YOU WILL LOVE 'THE NATURAL WAY OF THINGS'. I think it's out in the US this month some time - I seriously can't rate it high enough. It's so angry and made me angry. I think I need to read this book too!